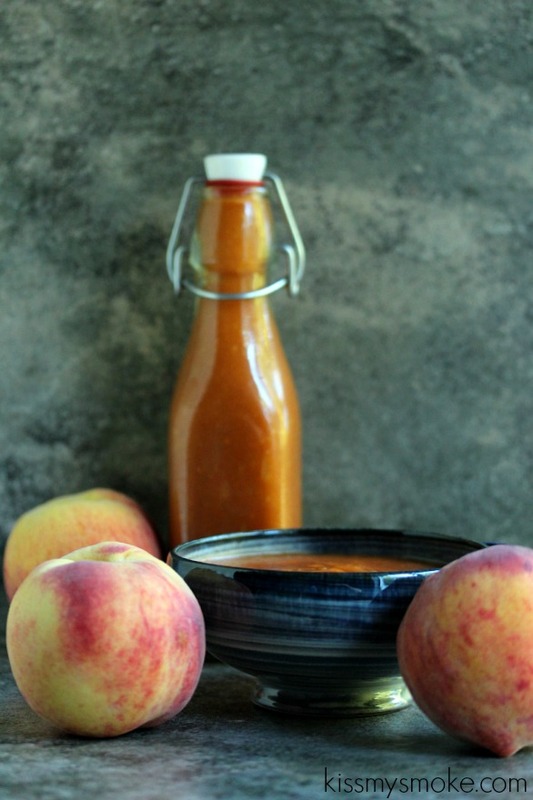 Homemade barbecue sauce made with fresh peaches is always a hit in our home. This one uses ripe peaches with a hint of cinnamon and just a touch of heat from smoked paprika. 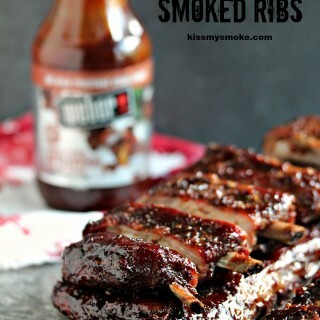 It’s seriously good barbecue sauce! I love fresh peaches. We still have access to them here so I’m trying to make the most of it before they are all gone. One of my favourite things to do with peaches is to grill them for dessert. 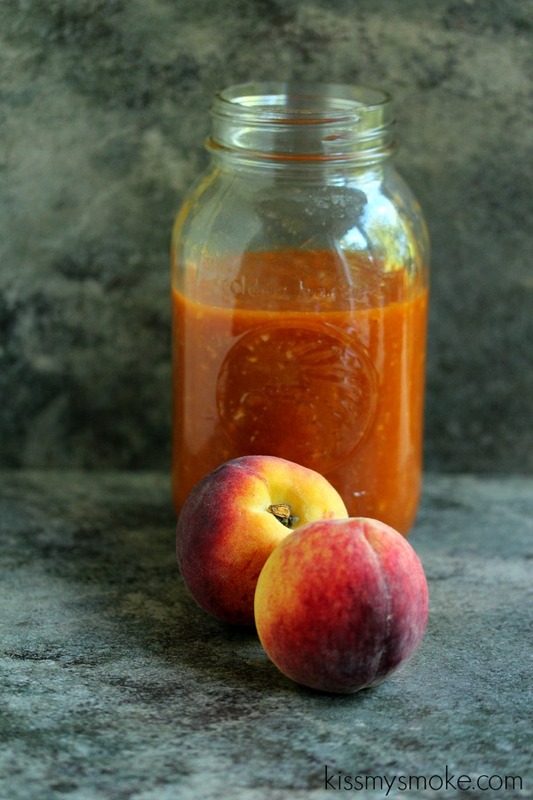 So it makes perfect sense that a barbecue sauce with fresh peaches would appeal to a gal like me. 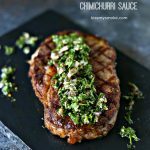 This sauce is great on so many dishes but my absolute favourite is a simple grilled chicken with this mopped all over it. It’s delightful. Then we’ll have grilled peaches for dessert. 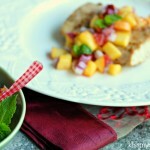 It’s a peach lovers dream dinner. 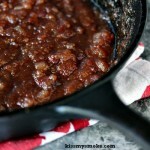 If you think making homemade barbecue sauce is difficult you would be really mistaken. It’s actually quite easy and simple. This one is fairly quick to make, most of the cook time is the simmering. I whip up a big batch then store the extra in glass jars in the fridge. That way I have extra on hand for the week. It’s also super easy to customize them to your own taste. If you dislike peaches use cherries or nectarines. If you don’t like cinnamon just leave it out. If you like more heat try adding chipotle. It’s fun to experiment. What I do when I’m in an experimenting kind of mood is whip up a basic batch. Then I’ll pour some into tiny shot glasses and add different dashes of spice for us to taste test. It’s a great way to get it right for your own taste buds. We put each one on slip of paper and make notes. Let your kids in on the action. You may see things like “ew” or “gross” on occasion, but you’ll also see things like “awesomesauce” and “this rocks”. Let them be honest. It helps them learn to discern what they like and what they don’t. It also teaches them to be fearless in the kitchen which is always a good thing. 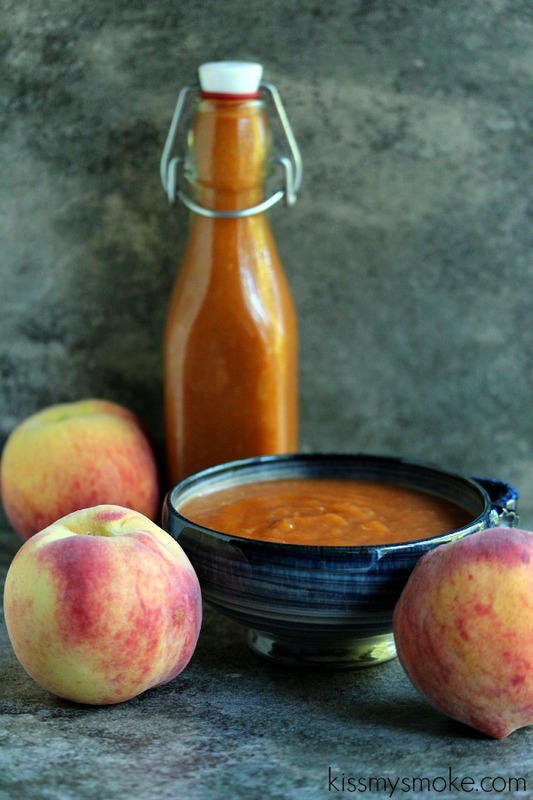 Homemade barbecue sauce made with fresh peaches is always a hit in our home. This one uses ripe peaches with a hint of cinnamon and just a touch of heat from smoked paprika. 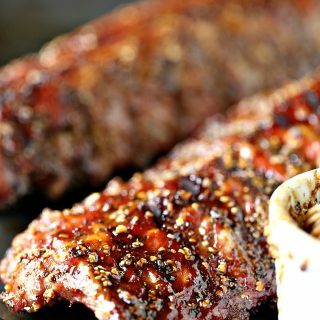 It's seriously good barbecue sauce! 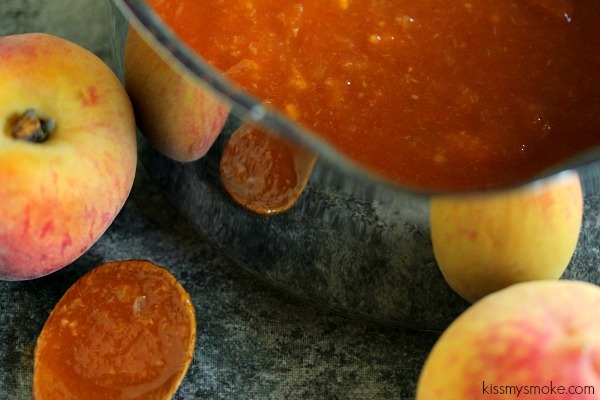 Pulse your peaches in a food processor until chunky or smooth, depending how you like your sauce. Set aside. In a large saucepan melt the butter over medium heat. 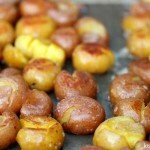 As it starts to glisten add the shallots and cook those until the start to go golden brown. 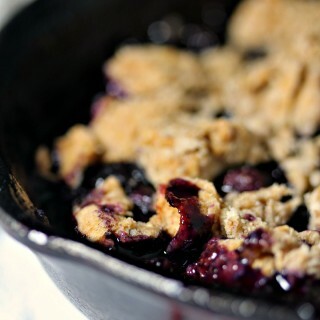 This will take 5 to 10 minutes depending on your heat and the size of the pan you use. Once they are almost golden add the garlic. Allow to cook for about 1 to 2 more minutes. 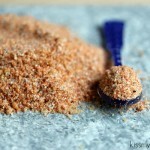 Now you can add the spices, ketchup, brown sugar, and peaches. Cook until it comes to a boil. Add the worcestershire sauce and the lemon juice, stir and bring back to a boil. Let it boil for about a minute or two, stir, then reduce to a simmer. Let it simmer for about 20 to 30 minutes. Give it a stir here and there. Swipe it over everything you can get your hands on! You can store the surplus in glass jars in the fridge for a couple of weeks. 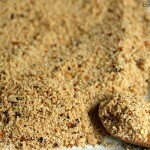 Great on chicken, fish and pork. Recipe adapted from Betty Crockers Cookbook, the Barbecue Sauce recipe. This one is old as dirt. Been using it for years and it's a great base sauce to adapt from. You can adjust anything from a good base to suit your own needs. Sauce is a personal thing. Some folks are die-hard “sauce it after it cooks” type people, some like the sauce to cook in. I say do what you prefer for your own taste buds. I love my sauce cooked into the meat on most occasions. I like the flavour and char it adds to the meat. There are times I prefer not to add anything. Like a good rib eye. Some days I like it plain with just a hit of salt, and some caramelized onions. It depends on my mood. I’m also not a sauce snob in terms of homemade vs store-bought. There are occasions when I do not have time to make my own. Plus we just love taste testing sauces. My daughter is a nut for barbecue sauces so we pick them up all over the place. I usually have any where from 10 to 20 in my fridge at any given time. Some are store-bought, some are homemade, but all are fabulous. Trying different flavours is a great way to learn what you like and don’t like. It helps you develop and learn your own style. So experiment away. Cook a few chicken breasts on the grill and cut them into dunking sizes pieces. Then put out a bunch of sauces and taste test to them to learn which flavours appeal to you and which don’t. It is so much fun to learn more about your own taste preferences. I guarantee doing this exercise will make you a better griller. My daughter goes crazy for Bullseye Original. I have no idea why but that girl just loves that stuff. We have a hard time getting it where we live. I like just about anything, I’m not sure there’s a clear-cut winner for me. I love ones that have a lot of garlic in them. There’s a local restaurant called Tunnel BBQ that sells their own sauce. I really like theirs on steak sandwiches. I’ll have to share the recipe for those soon. So good. I hope you get a chance to try this. More barbecue sauces coming your way soon. I forgot to say my favorite sauce right now is Sweet Baby Ray’s, my daughter’s is Jack Daniels. I actually don’t think I’ve tried Sweet Baby Ray’s. I’ll have to see if we have it here. I need to make a trip state-side for some sauces soon. Or move to a city. I swear our shopping here is horrible. Not sure why when we live so close to Windsor, and right across the Michigan border. So weird. I just found you through twitter and I’m in love with your blog! 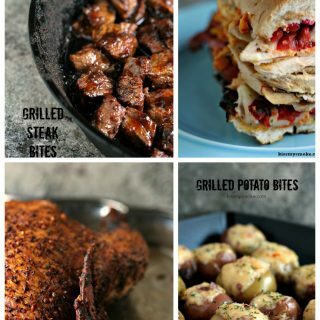 My husband and I do a ton of grilling during the summer and we’re always looking for new recipes. Thanks so much Caroline. I’m so glad you found me. If you ever have any questions shoot me an email. Can person can this in a pressure caner? Hi Michelle. I am not sure if you could or not. I have no experience with pressure canning. So I can’t say for certain if it would work or not. I love peaches. I wish they were around all year long. It makes me so sad when the season is over. We are having such a hard time finding the original here. They sell the Bold like crazy, but original not so much. I think mini-me is crossing the border for some later this week. 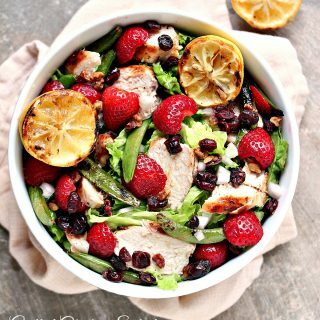 This looks amazeballs. I might bathe in it. And then shower so ants don’t crawl into bed with me. Good call. I don’t want to be responsible for a Peach Movita late night snack gone wrong. It’ll be all over the news. I’ll have to go into hiding. Would be bad for my career. Definitely bathe, then shower. Did you peel the peaches? 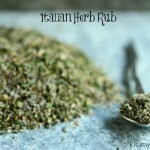 I have 2 dozen right now and would love to make this sauce! Yes, absolutely peel them. It will make the sauce smoother. If I was making a really rustic looking recipe I may leave some on but otherwise I always peel them. 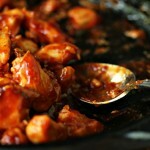 Made this as a sauce in a pulled chicken recipe made in a slow cooker.